The 1946 Hudson Super Six convertible I've been working on for a few years needs a fan belt for its 308 engine. It currently has a Gates Green Stripe 669 belt. The belt seems to sit a little deep in the pulleys and has some edge wear as a result. Does anyone have a suggestion for a better fitting belt? Thanks, any help much appreciated. This is the current belt. You need a B section belt. 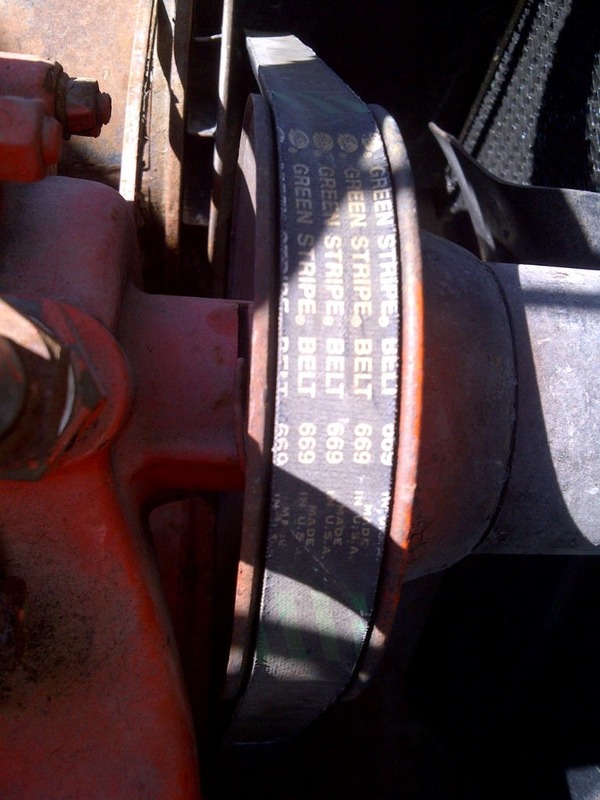 If the current belt is sitting low in the pulleys it could be a narrower A section belt. As a work around its OK so long as its not bottoming on any of the pulleys. Thanks Uncle Josh. The specs on this belt are very close to what I physically measured with a tape on the Gates 669. I'm sure it will work.